Ranveer Singh is riding high on success with his blockbuster hit film Simmba and he made a roaring entry at Umang 2019 awards show in Mumbai on January 27. Now, a video from the event has gone viral on the internet. 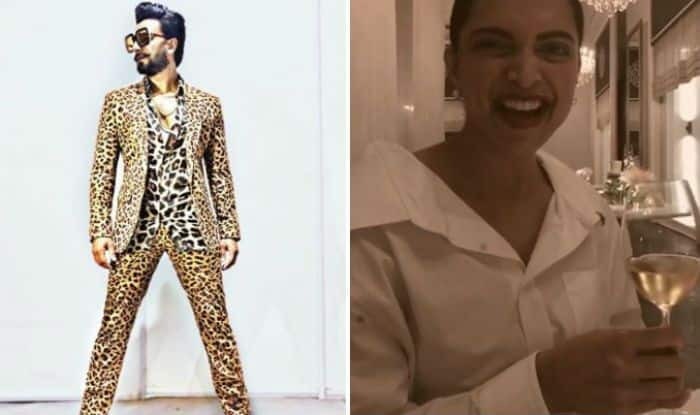 In the video, Ranveer thanks Rohit for the success of the film and says, “Life bana di aapne sir.” He also cracks a joke saying that whenever he enters the home, his wife Deepika Padukone says, ‘Aya Police’. He was later joined by Rohit Shetty, Akshay Kumar and Ajay Devgn on the stage and the foursome did some little gig before the award function proceeded further. The audience broke into laughter and we just cannot stop gushing the adorable way he talks about his wife Deepika. Ranveer was seen dressed in a tiger print suit from head to toe which only he could have pulled off. He also gave an energetic performance. In fact, Mumbai police were seen lifting him while posing for the picture. A few days back, Ranveer also shared a video of Deepika where she was seen saying ‘Aya Police’. Simmba entered Rs 100 crore territory within just five days of its release. The Sara Ali Khan starrer surpassed the Rs 200 crore mark within 12 days of its release. The film is also Rohit’s eighth entry in the Rs 100 crore club. He is also the only Bollywood director with eight back-to-back films in the Rs 100 crore club.